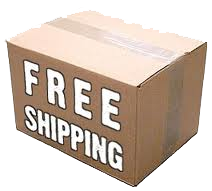 If you’re looking for a digital leg up for the rapidly approaching back-to-school season – here’s the answer: offer free shipping. According to the PriceGrabber survey, 74 percent of consumers chose free shipping as the top retailer tactic that would entice them to make a back-to-school purchase this year. There were other tactics that can be employed to encourage shoppers to visit and buy from merchants including sales, price cuts, coupons, online promotions, and price-matching. "Whether shopping in stores or online during this back-to-school season, consumers should leverage the multitude of money saving tools and retailer incentives that are available," said Graham Jones, general manager of PriceGrabber. "We can deduce from our survey that free shipping will be a huge deciding factor when consumers purchase online. Savvy shoppers will get the most for their money by searching for coupons and actively using comparison shopping websites to ensure they are getting the best deal."